(11-06-2015 12:31 PM)Placebo Wrote: Phewww I was worried reading these posts but my saved career is working just fine, installed the update then tested, all ok but of course mods missing, exited, regenerated, loaded and again career is ok. Not sure what's different for me compared to you others, I use Modding Way + Revolution Mod. And skin tone? Black or brown/red ? 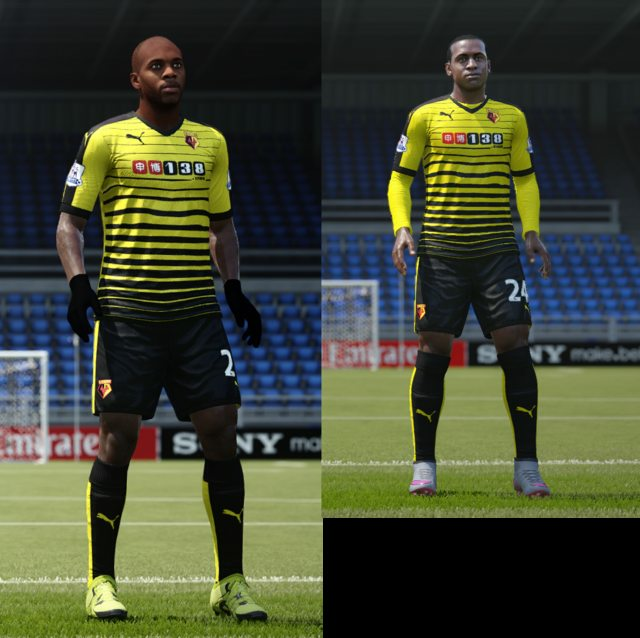 Ighalo is generic - not scan face. Nyom is ok in my game..
(11-06-2015 02:28 PM)SCBastia1905 Wrote: Nyom is ok in my game..
is ok? How? And skin tone? Normal or this my picture? There are many more of these changes after installation Moddingway ... Deeney, Paredes, Nyom. In general, almost all the faces to Black players as of look or are more orange.